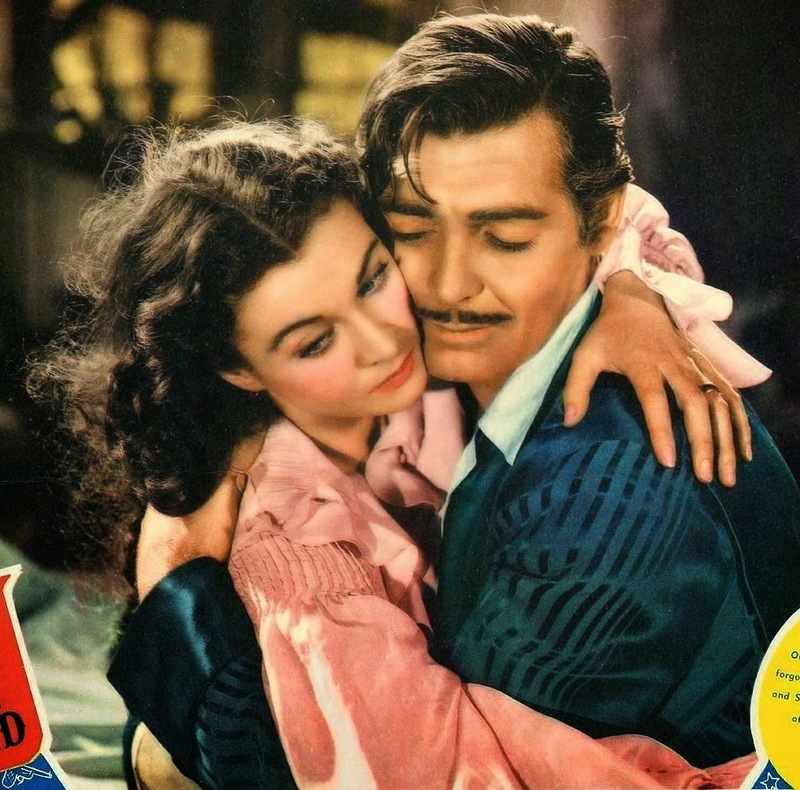 In honor of the 75th Anniversary of my favorite film of all-time, "Gone With the Wind," here are my favorite lines from Margaret Mitchell's novel. "Magnolia-white skin - that skin so prized by Southern women and so carefully guarded with bonnets, veils and mittens against hot Georgia suns." "Land is the only thing in the world that amounts to anything. For 'tis the only thing in this world that lasts, and don't you be forgetting it! 'Tis the only thing worth working for, worth fighting for - worth dying for." "...There was an air of solidness, of stability and permanence about Tara; and whenever Gerald galloped around the bend in the road and saw his own roof rising through green branches, his heart swelled with pride as though each sight of it were the first sight." "Savannah- that gently mannered city by the sea." "Savannah - a quiet jungle beauty of the sea islands draped in their gray moss and tangled green, the white stretches of beach hot beneath a semitropic sun, the long flat vistas of sandy land studded with palmetto and palm." "Twelve Oaks - they topped the rise and the White House reared it's perfect symmetry before her, tall of columns, wide of verandas, flat of roof, beautiful as a woman is beautiful who is so sure of her charm that she can be generous and gracious to all." "Savannah and Charleston are like aged grandmothers fanning themselves placidly in the sun." "Atlanta was a mixture of the old and new in Georgia, in which the old often came off second best in it's conflicts with the self-willed and vigorous new." "Lonely plantations in Charleston, where the bellow of alligators broke the night stillness; dreaming in it's gardens behind it's high walls. Savannah, with it's wide streets lined with palmetto and the muddy river beside it." "Southerners were as enthusiastic visitors as they were hosts, and there was nothing unusual in relatives coming to spend the Christmas holidays and remaining until July. Visitors added excitement and variety to the slow-moving Southern life and they were always welcomed." "Scarlett wanted to be home. She wanted Tara with desperate desire of a frightened child frantic for the only haven it had ever known." "Her love for this land with it's softly rolling hills of bright-red soil, this beautiful red earth that was blood colored, garnet, brick dust, vermilion, which so miraculously grew green bushes started with white puffs, was one part of Scarlett which did not change when all else was changing. Nowhere else in the world was there land like this." "Wars were fought for swelling acres, softly furrowed by the plow, for pastures geen with stubby cropped grass, for lazy yellow rivers and white houses that were cool amid magnolias. These were the only things worth fighting for, the red earth which was theirs would be their sons', the red earth which would beat cotton for their sons and their sons' sons." "God intended women to be timid frightened creatures and there's something unnatural about a women who isn't afraid... Scarlett, always save something to fear - even as you save something to love." "There was something about cotton that was reassuring, steadying. Tara had risen to riches on cotton, even as the whole South had risen, and Scarlett was Southerner enough to believe that both Tara and the South would rise again out of the red fields." "I'm like Atlanta. It takes more than Yankees or a burning to keep me down." "I do mind, very much, the loss of the beauty of the old life I loved. Scarlett, before the war, life was beautiful. There was a glamour to it, a perfection and a completeness and a symmetry to it like Grecian art. Maybe it wasn't so to everyone. I know that. But to me, living at Twelve Oaks, there was a real beauty to living. I belonged in that life. I was a part of it. And now it is gone and I am out of place in this new life, and I am afraid." "You should be kissed and often, by someone who knows how." "They burned you," she thought, "and they laid you flat. But they didn't lick you. They couldn't lick you. You'll grow back just as big and sassy as you used to be!" "But, no matter what sights they had seen, what menial tasks they had done and would have to do, they remained ladies and gentlemen, royalty in exile - bitter, aloof, incurious, kind to one another, diamond hard, as bright and brittle as the crystals of the broken chandelier over their heads. The old days has gone but these people would go their ways as if the old days still existed, charming, leisurely, determined not to rush and scramble for pennies as the Yankees did, determined to part with none of the old ways." "Atlanta, it seemed, must always be hurrying, not matter what it's circumstances might be. Savannah, Charleston, Augusta, Richmond, New Orleans would never hurry. It was ill bred and Yankeefied to hurry. But in this period, Atlanta was more ill bred and Yankeefied than it had ever been before or would ever be again." "Night after night, in these newly built homes, the windows were ablaze with gas light and the sound of music and dancing feet drifted out upon the air. Women in stiff bright-colored silks strolled about long verandas, squired by men in evening clothes. Champagne corks popped, and on lace tablecloths seven-course dinners were laid. Hand in wine, pressed duck, pate de foie gras, rare fruits in and out of season, were spread in profusion." Graveyard Shifts At the Crew.